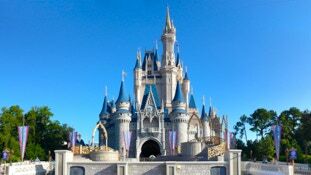 MAGIC KINGDOM: Located in the Walt Disney World resort. The Magic Kingdom is in the north end of the property and approximately a 10 minute drive from our vacation homes. Fantasies come to life in this, the most magical of kingdoms,. Six lands await including, Main Street USA, Adventureland, Frontierland, Liberty Square, Fantasyland, and Tomorrowland. The Magic Kingdom is home to spectacular rides and attractions, magical shows and parades, and spectacular fireworks. EPCOT: Located in the Walt Disney World resort. 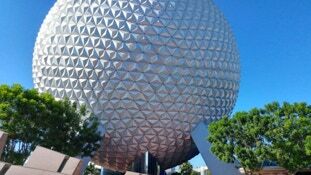 Epcot is approximately 10 minutes drive from our vacation homes. Almost like two spectacular theme parks in one the 305 acre Epcot is divided into Future World, with it’s amazing architecture and future themed rides and attractions, and World Showcase which focuses on highlighting the cultures of the eleven nations sitting majestically around the beautifully landscaped World Showcase Lagoon. A spectacular and enlightening park. DISNEY’S HOLLYWOOD STUDIOS: Located in the Walt Disney World resort. Disney’s Hollywood Studios is approximately 10 minutes drive from our vacation homes. The world of the movies comes to life from Old Hollywood to some of the biggest movie blockbusters. Enter on Hollywood Boulevard and explore, Sunset Boulevard, Echo Lake, the Animation Courtyard, Toy Story Land, Grand Avenue, and later this year Star Wars Galaxy’s Edge. DISNEY’S ANIMAL KINGDOM: Located in the Walt Disney World resort. Disney’s Animal Kingdom is approximately 5 minutes drive from our vacation homes. Take a walk on the wild side and let your imagination roam free in the place where magical adventures and exotic expeditions come to life. Rides and attractions come together with live animals in a lushly landscaped setting in this vast 580 acre park. UNIVERSAL STUDIOS: Located in the Universal Orlando resort. Universal Studios is approximately 15 minutes drive from our vacation homes. Celebrate all things movie related in a park that is dedicated to putting you right into the action. The park is divided into, Production Central, New York City, San Francisco, Diagon Alley, World Expo, Springfield, Woody Woodpecker’s Kidzone, and Hollywood all nestled around the lagoon. Fabulous rides and shows put you in the movies. ISLANDS OF ADVENTURE: Located in the Universal Orlando resort. Islands of Adventure is approximately 15 minutes drive from our vacation homes. Set sail on a journey into the mythical ’islands.’ Begin your adventure at the Port of Entry and head to the waterfront to begin your adventure into, Marvel Super Hero Island, Toon Lagoon, Skull Island, Jurassic Park, Hogsmeade, the Lost Continent, and Seuss Landing. Adventure awaits in this 110 acre park. SEAWORLD: Located on Central Florida Parkway. SeaWorld is approximately 10 minutes drive from our vacation homes. Discover an undersea world. With more than 20 shows, thrilling roller coasters, engaging rides, and educational exhibits, SeaWorld offers a 200 acre window into the fascinating mysteries of our oceans. DISCOVERY COVE: Located opposite on Central Florida Parkway. 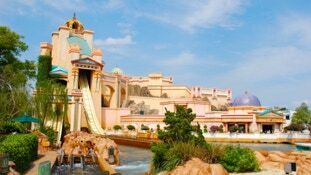 Discovery Cove is approximately 10 minutes drive from our vacation homes. A lush tropical paradise that offers a once in a lifetime adventure. No lines, no crowds, no barriers. Swim with dolphins and other exotic marine animals, snorkel with more than 10,000 tropical fish, and relax on pristine beaches. It is a one of a kind, up close and personal experience that you will never forget.